The Earthly vibration is rising in frequency, and we will, indeed we already have, seen stupendous changes in our lives on Earth. The Archangels and Angels are helping with this time of transition. The energies that are pouring into Earth right now are so powerful that many are having difficulty coping with them. They want us to know that all is in Divine Right Order and that we must not fear the coming changes. 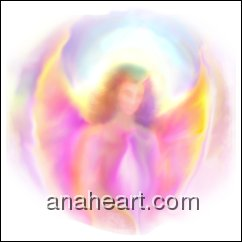 The Angels of Light and the Archangels are ever with us helping to guide us on the pathways of Light, and they offer their Unconditional Love and Guidance to each and every one of us. 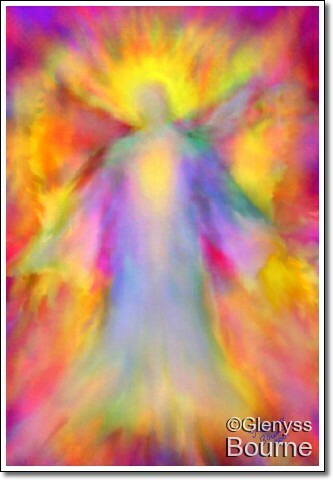 Remember that there is always help available, just ask the Angels! Click Here for an Inspirational Message from the book Sacred Wisdom by Glenyss Bourne, a book of Angelic Guidance. Affordable signed Fine Art Prints from the digital original of this painting are available here. This entry was posted in Angel Message for Today, Home, Spiritual Wisdom and tagged 5D, angel of protection, angelic guidance, Earth changesn. Bookmark the permalink.